Sunday, May 15, 2016 2 p.m. - 4 p.m. Upon clicking either button, you will be redirected to PayPal® for a safe and secure transaction. 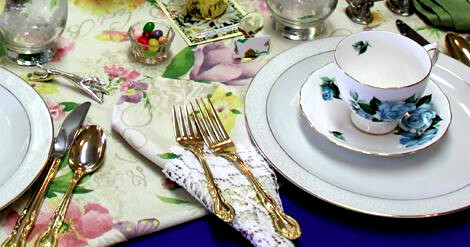 The Lomita Railroad Museum Foundation Board will host its Ninth Annual Sunday Afternoon Tea and we would love for you to join us for a relaxing afternoon with fellow supporters of the Museum. This is an excellent opportunity for you and your friends to meet the Museum Foundation Board and find out what’s been happening at the Museum for the past year and what the Museum plans are for the next year and into the future. The Sunday Afternoon Tea is one of our main fundraisers of the year and is always an afternoon of delightful conversation, fun filled nostalgia, tea and light refreshments and this year will be just as much fun as the last! Entertainment will be provided by the C-Nile Sound Barbershop Quartet.